Yesterday’s news was a shock. This guy from my home state of Minnesota has a very long reach. 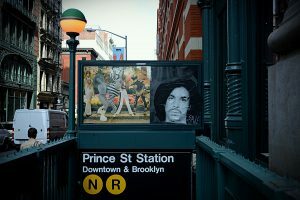 In Manhattan today, the images and symbols go up as fast as they come down; and have included a purple “P” to go along with the N and R subway lines. 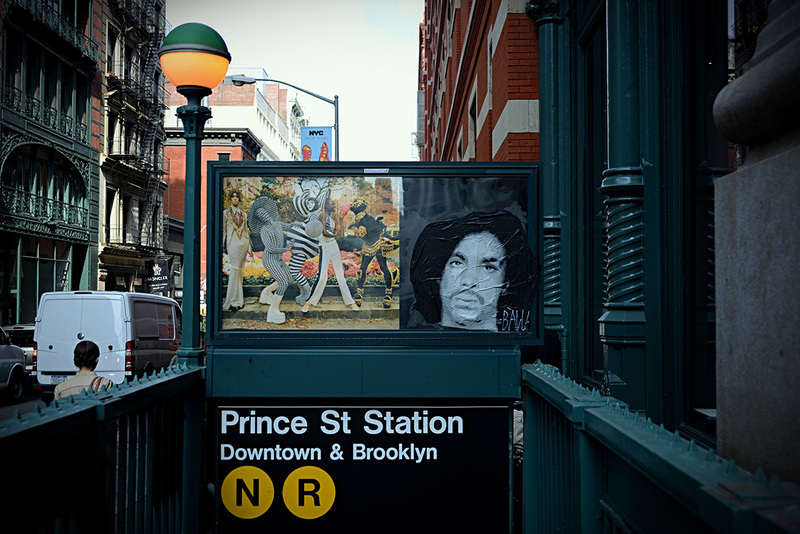 There is no Purple P line in New York City. Well, at least not normally… Rest in peace, Prince.